Everything is in the universe is dependent on the life giving power of subtle energy, including our selves. Our bodies are not just made up of organs, glands and biological processes. It is also composed of a complex network of interdependent and interconnected forces which interact with one another in a web of mutually conditioned relationships. These forces are called subtle energy. Subtle energy is said to flow through a series of energetics structures called chakras. What is a chakra? How does it function? What is it used for? Dr. Rita Louise offers an introduction to the chakra system and their function in our ability to maintain health. She explore simple concepts of our subtle energy and energy structures that lay hidden to the naked eye. 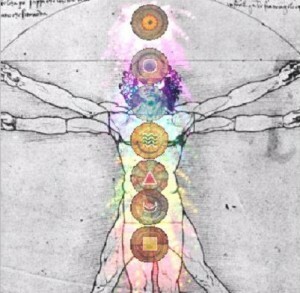 Tagged chakra, chakra balancing, chakras, energy medicine, health, metaphysics, spirit, spiritual, subtle energy.